Professional and efficient assistance! We guarantee quick, competent and uncomplicated Service and Support. 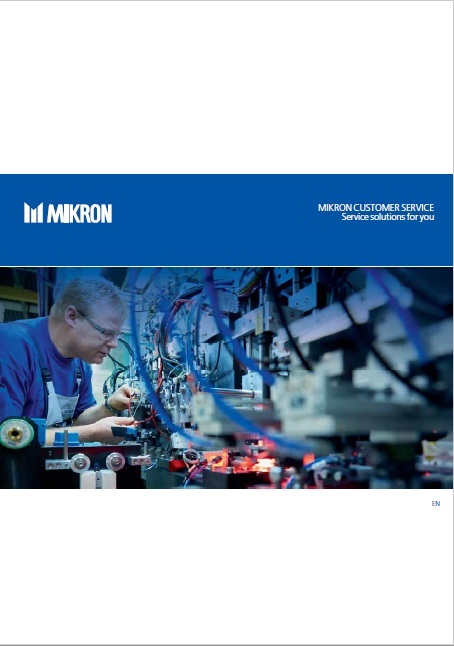 Mikron Customer Service offers 5 modules, a mix of reactive, preventive and predictive service plans. Together we can design a “Service Solution” profile, tailored to your individual needs. Thus each customer is assured to receive exactly the service and support, best suited for their system and individual requirements.